The watches below all have the same appearance once the case front has been opened, either in "silver" or "gold". All take a standard-size Button-type battery. 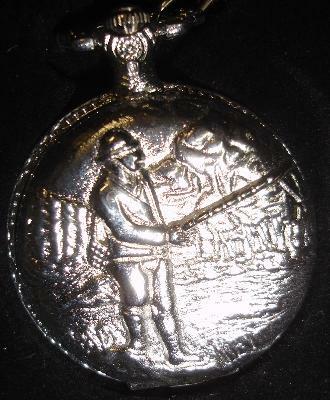 This Standard-size (mens) Fob-watch has an image of a person fishing. The case is Silver in colour (Stainless?). Brand- Geneva. Shipping -contact us to confirm shipping costs. 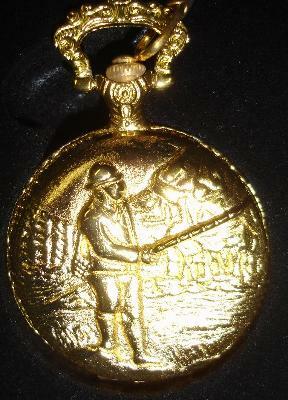 This Standard-size (mens) Fob-watch has an image of a person fishing. The case is Gold in colour (material unknown). 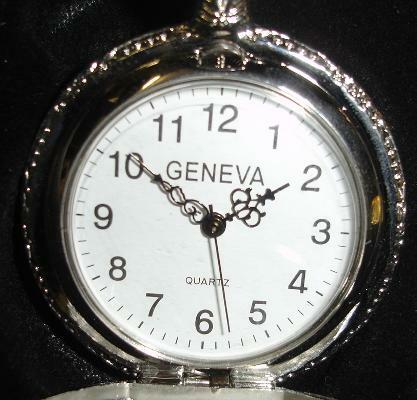 Brand- Geneva. 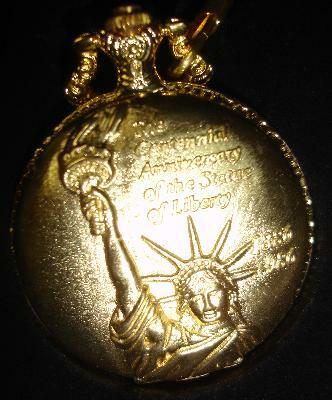 This Standard-size (mens) Fob-watch has an image of The Statue of Liberty with text saying "The Centennial Anniversary of the Statue of Liberty.". The case is gold in colour. Brand- Geneva. 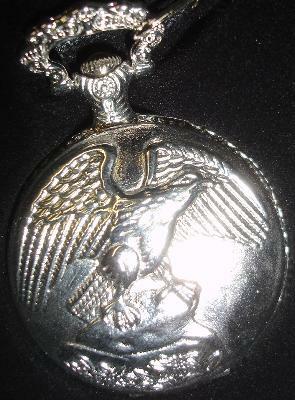 This Standard-size (mens) Fob-watch has an image of an eagle just landing (or taking off). The case is Silver in colour (Stainless?). Brand- Geneva. 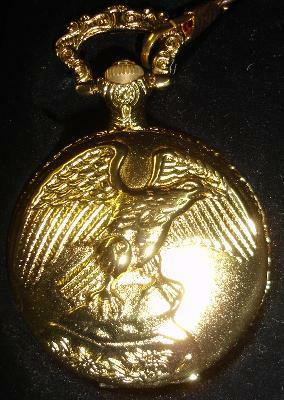 This Standard-size (mens) Fob-watch has an image of an eagle just landing (or taking off). The case is Gold in colour (material unknown). 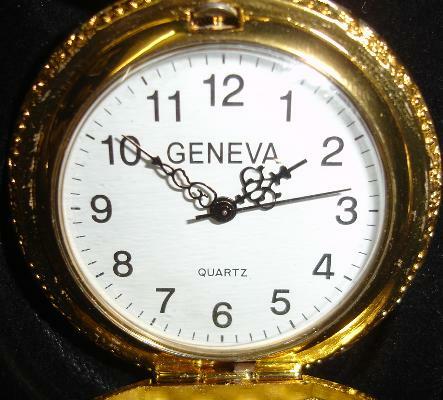 Brand- Geneva.